Researchers at FGCU are still looking for answers when it comes to the cause of red tide. They are proposing a new project that might help find answers. 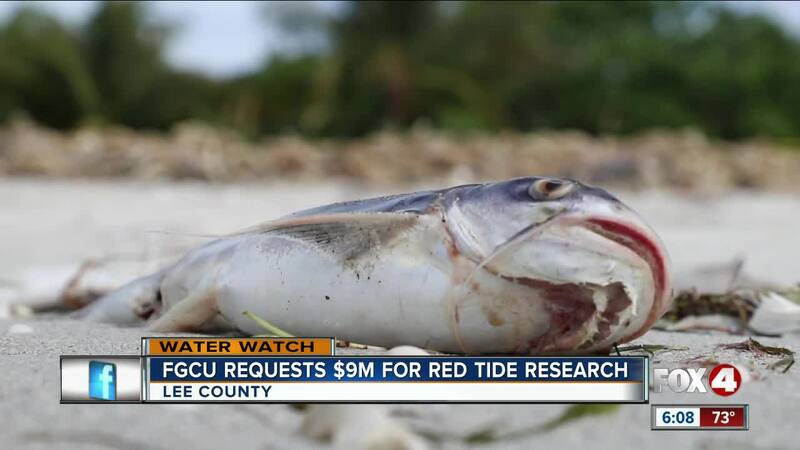 LEE COUNTY, Fla. -- The coast might be clear of red tide, but scientists at Florida Gulf Coast University haven’t stopped looking into it. Researchers at FGCU are trying to figure out if “is there anything we are doing that might be making it worst, or enabling it to hang around longer,” said Gregory Tolley, Chairman of Marine and Ecological Sciences at FGCU. The proposed project is broken up into six phases, starting with studying nutrients that go into the water. Some other phases include, environmental, economic, and human health. “There are a lot of unknowns we need to address, that other previous studies have acknowledged but didn’t have the resources to look at these other compartments,” said Parsons. And if approved, other colleges across the state might get involved. "There’s going to be fishery biologists, chemists, human health practitioners, oceanographers, all involved because it’s a very large and complex issue,” said Parsons. The end goal of the project is to find out how to better predict and manage red tide and educating the public. “Cleaning up our local waterways is going to be something that’s better for everybody in Florida,” said Tolley. The money to fund the project would have to be approved this legislative session that starts in March. If approved, the length of the project would take about 5 years.